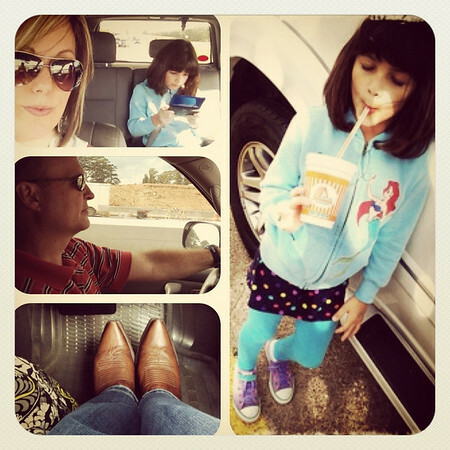 Last week, in a fit of semi-spontaneity, we headed for the Big D, and I do mean Dallas, for my birthday. I amused myself along the way by snapping photos which is not annoying to my people at all. Or maybe it is and they love me anyway. We hit town right before rush hour Monday evening (who wasn't packed and ready to go as early as we should have been? was it us?) and made our way to our hotel conveniently located in the west end of downtown. 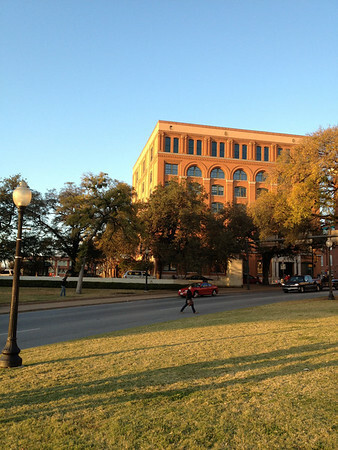 Yes, you guessed right, that's Dealey Plaza, Elm Street and the Texas School Book Depository. I'm sure some of y'all are scratching your head wondering why in the world I would want to celebrate my birthday there of all places. November 22, 1963 is the day John F. Kennedy was assassinated in Dallas and five years later I was born. Growing up, in a sense, JFK was always a part of my birthday through grainy film, news coverage and newspaper/magazine articles and "Where Were You When" talk among the grown-ups. As I got older I started reading more about what happened that fateful day and became fascinated. Or a little obsessed. Whichever. For all my obsession I had had only two brief visits to the site. 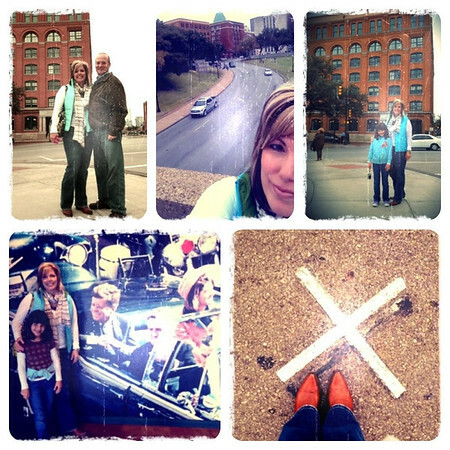 I vaguely remember a loooong time ago, while visiting my cousins who lived in Dallas, my aunt driving by the Texas School Book Depository building and pointing it out to me, but I have a much more vivid memory of her showing me the house where they filmed Benji a few minutes later. To my 7 or 8 year old self, Benji was much more interesting than JFK. 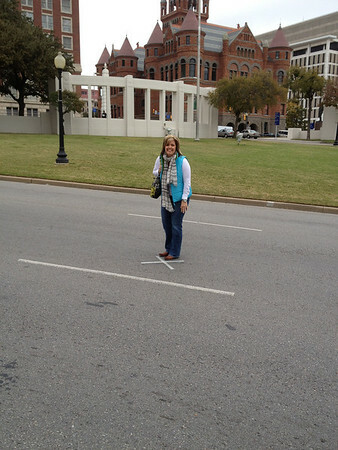 I later visited Dealey Plaza during college and always wanted to go back. Scott casually mentioned going for my birthday since Annelise would be out of school (and sometimes being unemployed has its perks) and I was all. over. it. 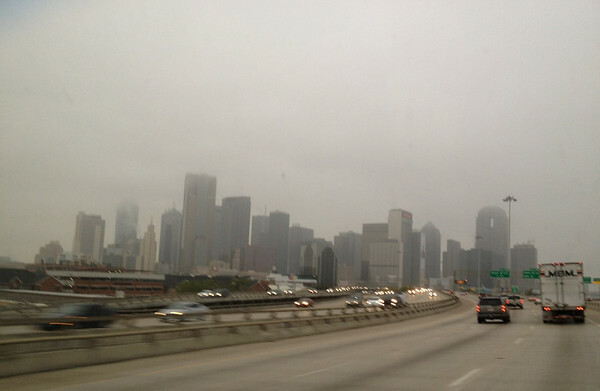 As we drove into downtown Dallas and got closer and closer to the corner of Elm & Houston my heart started beating faster and faster, which may sound silly but oh so true. Seeing photos and watching videos and movie are one thing, but actually being there, even 48 years later is something else. At least to me. 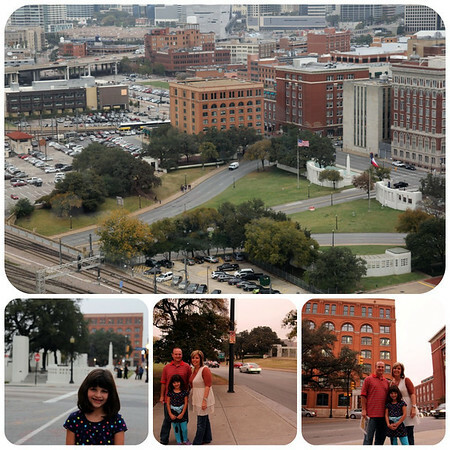 After checking into our hotel we walked over to Dealey Plaza to prowl around a bit and take things in. 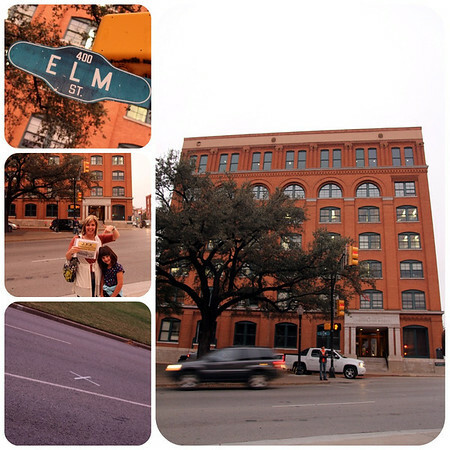 The area is actually smaller than it might appear to be in the old films, if you were standing on the curb along Elm St. or along the grassy knoll back in 1963 you were right there, right next to history as it happened. Maybe if you're a Dallas-ite and drive by there often you might be immune to its history, but I was overwhelmed. I couldn't imagine driving by all the time and not thinking about what happened there. On a slightly morbid, but freakishly interesting side note, there are two large Xs painted onto Elm Street that mark where the shots hit (I'm guessing they were added by the Sixth Floor Museum as part of their walking tour, but I'm not sure). We stayed there a while until it started to get dark and our tummies were rumbling for supper. Scott bought me a *historical newspaper souvenir* from a *reputable street vendor* before we left, which I thought was sweet. I do like Stephen King. At least the *old* Stephen King. 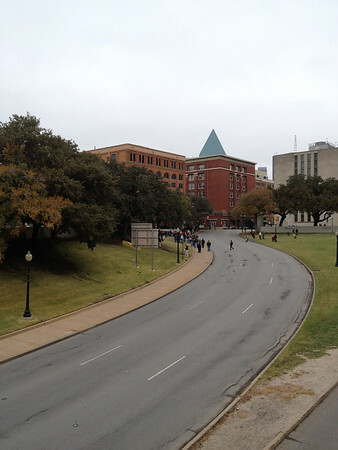 After a lazy morning we got ourselves together and made our way over to Dealey Plaza where a small crowd had already gathered. 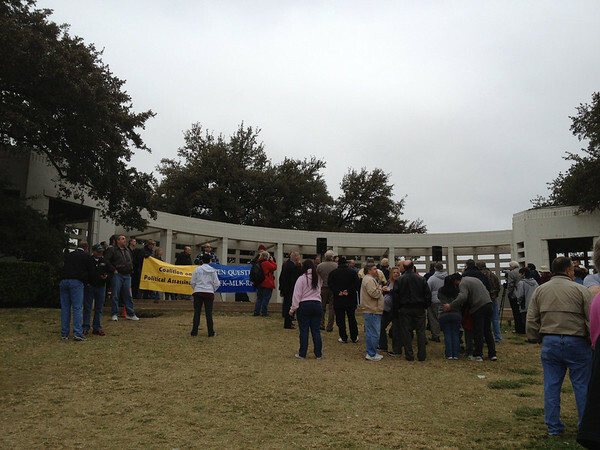 There were history buffs, tourists, protestors, and conspiracy theorists mingling around. There were speeches, songs (Beverly Oliver, allegedly the Babushka Lady, sang Amazing Grace, which was interesting since she was a former entertainer at a club next to Jack Ruby's Carousel Club) and even a moment of silence at 12:30. I can't say Annelise was all that interested or that it's even appropriate to expose an 8 year old to such things, but I gave her my small camera and that kept her spirits up. 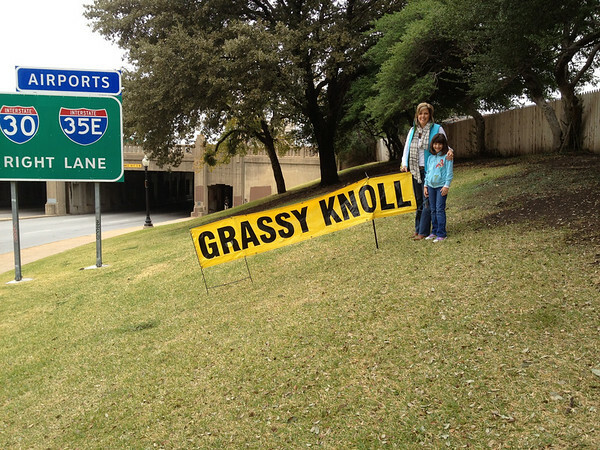 We walked all around the famous Grassy Knoll (I'm not sure why a sign was necessary, but there you go). We peeked out from behind the picket fence where a second (or third or fourth or whatever) shooter could have been perched depending on what you believe. We walked over to the railway overpass and imagined the motorcade view from there. Take this with a grain of conspiracy salt, but just under the pass, where the streets merge, a man was struck on the chin by a piece of chipped concrete from a bullet (which bullet? which shot? how do you explain that away?) and on the right, directly across from the street sign on the left, where there's a sewer grating, another bullet was found, collected by *officials* and never explained. We listened to conspiracy buffs peddle their DVDs under the pergola. And don't tell anyone, but I bought some. Back down on Elm we eavesdropped on Mr. Brandt recall his memories from that fateful Friday in 1963. He was 37 at the time and had stood on the corner of Elm to see the president pass. He's 85 now and dons the fedora he wore that day and comes down to Dealey Plaza every year on the anniversary to remember. He recalls three shots and believes the Warren Commission. He hid behind a nearby tree after the shooting.The man on his left was also a witness that day but he didn't talk much. They were being interviewed by Austrian documentary filmmakers. 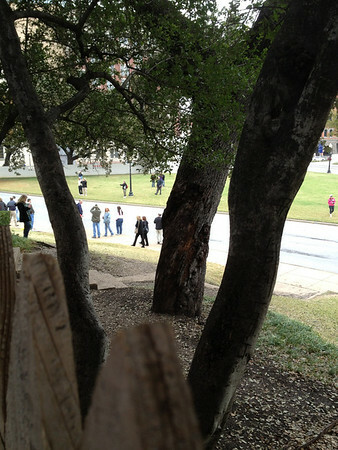 Thanks to technology we were able to watch the Zapruder film on YouTube on my phone while standing right where Mr. Zapruder stood. Eerie. Surreal. But cool. 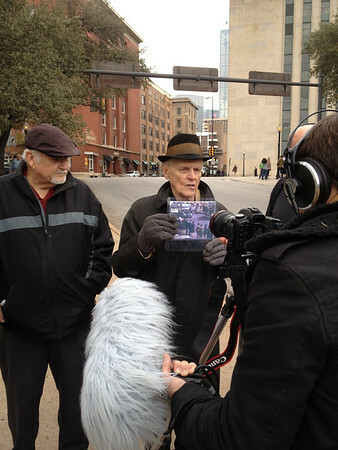 We also chatted with another documentary filmmaker who's making a film about the curious history and characters that flock to Dealey Plaza. She doesn't believe the Warren Commission. 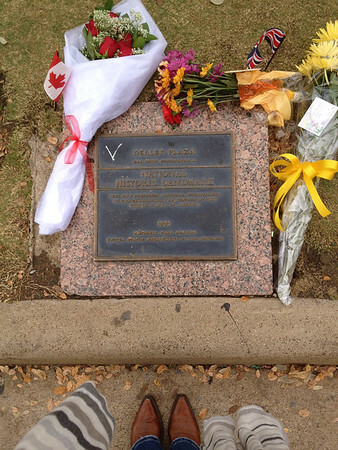 A few people left flowers at the Dealey Plaza memorial plaque (which does not mention the assassination) next to Elm Street, directly in front of the X that marks the fatal head shot. And you know I ran out there and had Scott take my picture, don't you? In a slightly morbid way of course. After, oh, a good long while outside, we finally made our way into the Sixth Floor Museum inside the old Texas School Book Depository building (it's called another name now, but it'll always be TSBD to me). The museum exhibits are set up across the whole sixth floor and give you a wonderful background of JFK, his presidency and of course the events of 11.22.63. There are informative photo and evidence displays along with video clips that you wind your way through while listening to an audio headset. 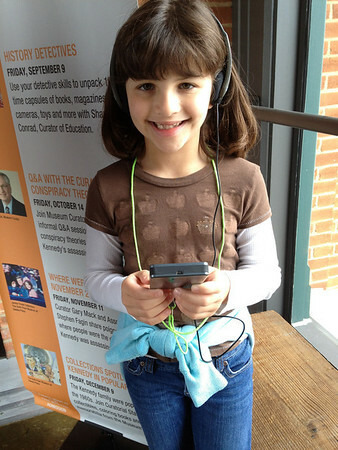 You can't take photos inside, so I snapped a quick one of my little conspiracy buff before we went in. The exhibits are very moving, no matter what you believe about a lone assassin vs. two or more shooters a la conspiracy, though they are definitely slanted toward the official version (some would say the official fiction). It catches your breath to stand next to the *sniper's nest* (the actual corner window- and area is preserved behind plexi-glass) and look down on Elm Street six stories below and wonder. America certainly changed that day in 1963. By force. By violence. By murder. One last look back before we moved on to the next phase of my birthday celebration. 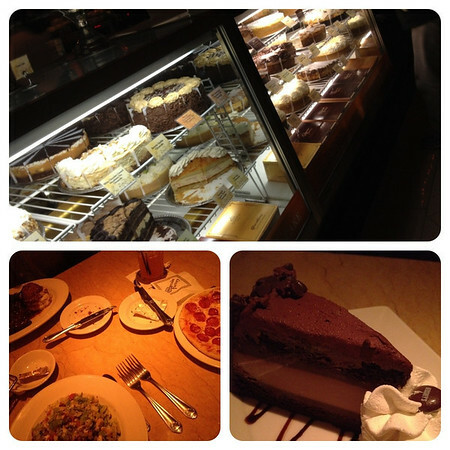 Food, glorious food, of course. Does it make the gluttony less if I tell you that I ate a salad and we shared that piece of Hershey cheesecake and took a Red Velvet to go? Or is it about the same? 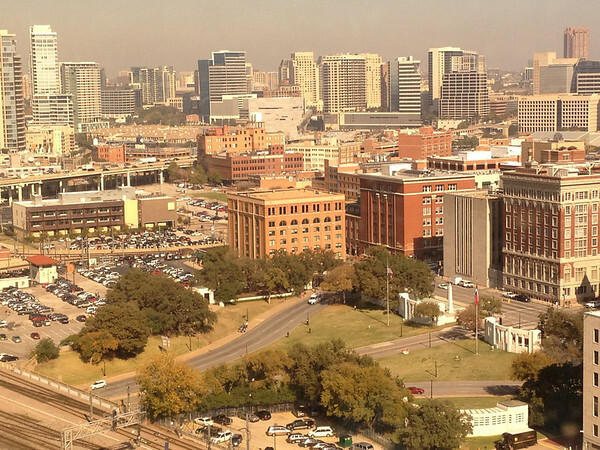 The next morning we said goodbye to Dealey Plaza from our hotel window. Maybe the 50th anniversary in two years? 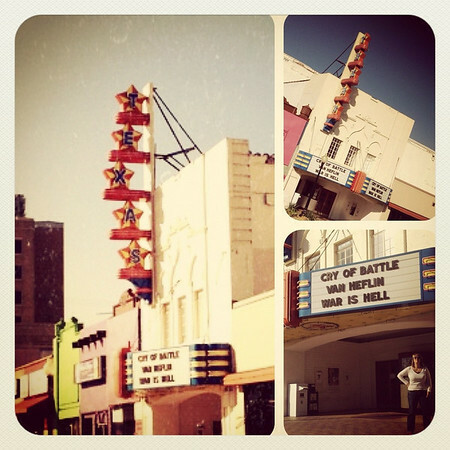 Before heading out we made a little detour into Oak Cliff to see the Texas Theater where Lee Harvey Oswald was arrested. 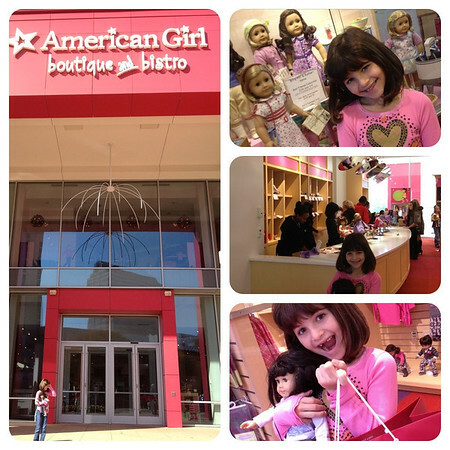 Annelise's good sportsmanship through Mama's Obsession paid off with a special detour on our way out of town. My 43rd year is off to a great start! What a fun time! I drive past it often and I am not immune. I don't get a pitter-patter, but I do think of it every time. The museum is fascinating. I haven't been in over 10 years, I should go again. Nicole: Thanks! It was fun. If y'all get a chance sometime you should go, it's really interesting. 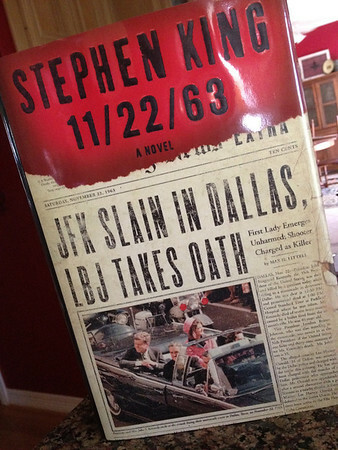 The Stephen King book is fiction (still based on basic facts) with the idea being a man goes back in time in order to prevent JFK's assassination. I haven't started reading it yet, but I'm looking forward to it (I love old Stephen King like The Stand and IT). Rochelle: Yes it was fun! You definitely should stop back by the museum sometime. Just being there--the sixth floor, etc.-- is so moving and thought provoking. what fun! glad you had a great bday celebration!! I have never been to the museum but know I would like to see it. have not seen the stephen king book, never read anything by him but would be interested in this one. I realize this is a really old post, but your newest one brought me here and I just had to mention that I was born 5 days BEFORE it happened and until I was 8 years old, I thought I had somehow caused it! There would always be so much about it on TV every year right around my birthday that it got intertwined in my head!